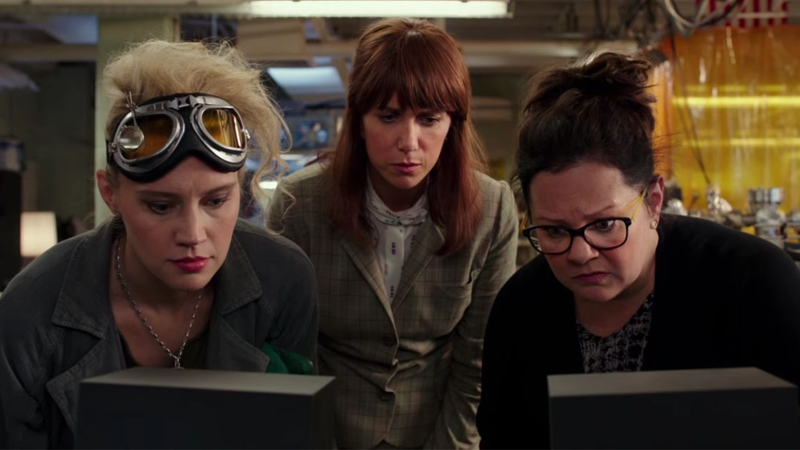 The new Ghostbusters movie has attracted a veritable shitstorm of reactions—whether that’s based on the gender of its cast, its rebooting of a beloved franchise, or basically just existing. The end result? A scene in the movie where titular ‘busters address their haters in both the film and in reality. According to Yahoo UK, there is a scene early on in the film where the team uploads a video of its bustin’ action to YouTube, and as ever with YouTube comments, the response is horrifyingly toxic. The Ghostbusters read out a bunch of the worst ones, and react accordingly by taking the piss out of them. “It was added [to the script],” explains Melissa McCarthy who plays paranormal investigator Abby Yates in the film. “We did something on the day that slightly tweaked it,” McCarthy added. It’s a clever takedown of the disproportionately large amount of criticism the new Ghostbusters movie has received—but one that might backfire depending on how reaction to the movie pans out after its release next week. However, the few early reactions to press screenings are positive. Full reviews for the film will begin dropping this Sunday, July 10th, including ours.